This is what you are faced with when we’re preparing food in our house. It starts off with just me (or Sue) and the ingredients. If the meal starts off veggie based then you are on your own but the moment any meat or cheese is involved then you quickly feel there’s a presence in the room. Louis then considers it’s his moral duty to stand guard until he gets his protection fee (in this case salami). 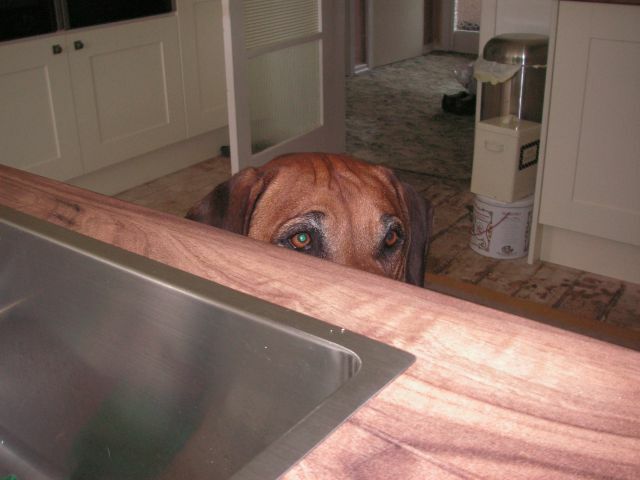 Are you a ridgeback breeder?